Ed Note: Our continued walk down memory lane of NBA broadcasting continues courtesy our friends at Crossover Chronicles. Even today, it seems that a 9:05 or 9:10 p.m. Eastern time start to an NBA Finals game is a little too late. Yes, people live on the West Coast — I’m one of them, here in Seattle — but is it really asking too much to have an NBA Finals game (and an NCAA tournament national championship game) start no later than 8:30 Eastern, 5:30 Pacific? Will the poor souls in Los Angeles and San Francisco and Seattle really experience that much of a hardship in having to watch the start of a game just a little earlier than their sweet spot? More to the point, should West Coast viewers be accommodated at the expense of Eastern time zone kids having to go to bed well before an NBA Finals game ends? We’re a nation, not just a collection of time zones. For all the complaints one can make about current NBA start times for Finals games and playoff games, nothing from this era — absolutely nothing — remotely compares to the worst period for national broadcast coverage in league history. For fans 40 years of age and older, the tape-delay era marked the NBA’s black-hole period on television. 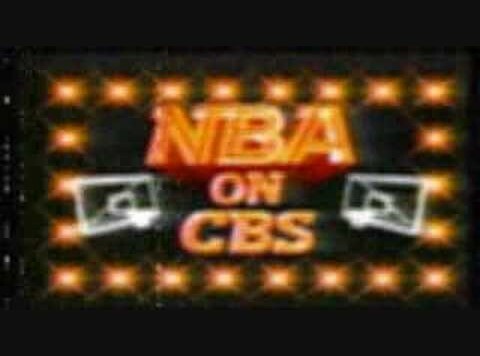 As much as many of us loved the NBA on CBS growing up (as I did — we were all hooked on the intro, the theme, the graphics, everything), we also remember CBS tape-delaying conference finals games on weeknights and not making the NBA Finals exclusively available on live television. I grew up in Phoenix, and even though the hometown Suns battled the hated Los Angeles Lakers in multiple playoff series in the early 1980s — including the 1984 Western Conference Finals — not all of those playoff games were shown live. Weeknights were NBA hell for us and many other markets, even if our home teams were playing. These profound failures should partly be placed at the feet of then-NBA commissioner Larry O’Brien, but CBS made these decisions more than anyone else. In many cases, the network’s reasoning for its decisions was spectacularly stupid — perhaps to the point that O’Brien just wasn’t anticipating them. Yes, NBA leadership deserves some of the blame for what happened at the start of the 1980s, but in fairness, ESPN had not become a juggernaut just yet. Cable had not saturated the airwaves just yet. Wimbledon and other sports properties that cry out for live coverage today were not covered live during the middle of the week back then. It was a very different time in sports television; college football did not receive 15-hours-per-Saturday coverage with almost every game available. Things have gotten a lot better for American sports fans, it’s safe to say. So why highlight the worst moments of the NBA’s history on American network television? First, this makes today’s TV coverage problems seem minor — even nonexistent — by comparison. Second, one can still find echoes in the past of situations from the present in which networks don’t take a sport as seriously as they should. This keeps the project of sports media criticism alive — not for the sake of keeping it alive, mind you, but to make sure the custodians of major sporting events (and major sports leagues) are never more comfortable than they should be. Let’s take a trip through the worst of the NBA’s history on American network television. For a primer on all these failures and debacles and outrages, consult this post from the excellent blogsite, Classic TV Sports. This NBA Finals game — a thrilling and entertaining contest — started at 11:30 p.m. Eastern time, 8:30 Pacific, to accommodate CBS’s preferred scheduling practices for the NBA playoffs and Finals in 1979. An NBA Finals game starting just before midnight? Yep — today’s issues aren’t really issues when measured against the late 1970s and early 1980s. The last time CBS regionalized a pair of conference finals games, the NBA had (supposedly, at least) burst into its golden era of prosperity and popularity. For all the ways — and to all the degrees — that Magic Johnson and Larry Bird did reshape the commercial and broadcast identity of the NBA, it is striking — we’ll say a little more on this later in the piece — that in 1986, CBS still treated the league like dirt in a few key ways. One such manifestation of CBS’s slow-to-react posture in relationship to the Association was its handling of two conference finals games on Sunday, May 18, 1986. Here are two citations from major metro papers — one in Philadelphia and one in New York — of a basic fact: Game 4 of the 1986 Eastern Conference Finals between the Boston Celtics and Milwaukee Bucks went head-to-head with Game 4 of the 1986 Western Conference Finals between the Los Angeles Lakers and Houston Rockets, at 3:30 Eastern on Sunday, May 18, 1986. Yes, viewers were given regional coverage of two conference finals games — and not just any game in the series, but Game 4, frequently a pivot point (especially in the Laker-Houston series, as it turned out). The reason why Boston-Milwaukee (in the East) started at 3:30 was that Game 3 was played the day before. Why? To avoid a tape-delayed broadcast on a weeknight. CBS had engaged in this practice for many years, including in NBA Finals. For example, the 1980 NBA Finals between the Lakers and the Philadelphia 76ers featured Game 1 on a Sunday (May 4), Game 2 on a Wednesday (May 7), and then Games 3 and 4 on Saturday (May 10) and Sunday (May 11) to avoid the weeknight tape-delay snake pit. Weekend back-to-backs in the conference and league finals were hardly unheard of. With that having been said, though, Game 3 of the Laker-Houston series (also a tape-delayed broadcast for portions of the country) took place on Friday, May 16, 1986. Since Houston was a central time zone city, CBS could have started that game at 1 Eastern, noon Central — not an outrageous time to start a basketball game. (10:30 a.m. local time, on the other hand? Yeah, that’s a bit extreme… more on that below in item No. 2.) Boston-Milwaukee could have followed at 3:30. CBS would have nothing of it. Even in 1986, even after the NBA had gotten off the ground, CBS was still slow on the uptake in terms of valuing its product and understanding the sport’s popularity. As Classic TV Sports notes in its overview (linked to above), CBS didn’t show a conference finals weeknight game in prime time until 1987. THAT WAS THE LAST YEAR IN WHICH THE LARRY BIRD-ERA CELTICS MADE THE NBA FINALS! CBS almost missed the entirety of the Boston Celtics’ 1980s run in terms of showing Eastern Conference finals games live on weeknights! Keep in mind: This is merely number FOUR on our list. In terms of scheduling and promoting the league, CBS was just as bad if not worse. Black Rock basically threw the NBA into a garbage bin during these playoffs, which — in light of the emergence of both Bird and Magic in the 1980 season — is remarkable even now. The numbers tell the story in the 1981 NBA postseason: 17 late-night (11:30 p.m. Eastern time) broadcasts, greatly exceeding any total before or since; four tape-delayed broadcasts in six NBA Finals games; and the two NBA Finals games shown live were played in a weekend back-to-back on Saturday and Sunday. Also in 1981, CBS made one of the most breathlessly awful decisions in the history of sports television: As Classic TV Sports points out, CBS wanted its weeknight (conference finals) games to occur in real time closer to its intended 11:30 Eastern air time for games. CBS wanted a shorter lag time between the real thing and the taped broadcast. This made Black Rock air more of the junior-varsity Western Conference Finals (both the Kansas City Kings and Houston Rockets were 40-42!) than the heavyweight Eastern Conference Finals between a pair of 62-20 ballclubs, the Philadelphia 76ers and the Boston Celtics. You never would have known the NBA underwent the beginnings of a revival in 1980 based on how CBS treated the league in 1981. In 1982, things got better, but there was never any excuse for 1981. The 1976 NBA Finals were the first to be played in Phoenix. The Suns, under a decade old as a franchise, were the sole object of the city’s pro sports affections. Well before the NFL Cardinals or the baseball Diamondbacks arrived in the Valley of the Sun(s), Phoenix was a basketball town. Game 3 of those memorable Finals marked the first Finals game to ever be staged in the city. This was a landmark moment for Phoenix in its own right, but especially in its relationship to major professional sports. Guess what time the broadcast for Game 3 started, with the tip-off just minutes later? Yep. It’s not a misprint. An NBA Finals game started on a Sunday in the middle of morning liturgy… for the local population. Imagine a Utah Jazz Finals game starting at 10 in the morning on a Sunday in Salt Lake City. That would be even worse, but this was pretty bad. Phoenix Suns general manager Jerry Colangelo apologized to local clergy for the start time, but this was a CBS call. Black Rock had a golf tournament — The Memorial — to show later that afternoon. What — broadcast Game 3 at, say, 6 Eastern and pre-empt ratings goliath 60 Minutes? Not in a million years. The four events above are confined to specific instances (single games or years), but the lowest point of the tape-delay era at CBS is not so much a point as it is (and was, and always will be) the whole period itself. It’s true that the NBA suffered throughout the 1970s in terms of its reputation (but not deservedly so). The worst stereotypes and the most outlandish fears permeated the public — “drugged-out African-American players were going through the motions” was a representative example, or at least something close to it. In reality, the 1970s simply marked a chaotic time for pro hoops. The 1960s Celtics had their run, but Bill Russell’s career couldn’t last forever. The Celtics still produced several really good teams in the decade, but their annual reign ended. That’s simply the reality of sports cycles. The 1960s Los Angeles Lakers similarly saw their core — longtimers Jerry West and Elgin Baylor, plus late-1960s addition Wilt Chamberlain — ride into the sunset. Those two franchises competed against each other in six of the 10 NBA Finals from the 1960s, and the Celtics competed in nine of the decade’s 10 Finals, winning all nine times. Once those two teams could no longer replenish their resources, it only made sense that a power vacuum would emerge until new and transformative stars (Magic and Bird) came along. Sure, the NBA was not at its best in the 1970s, but it wasn’t because of the attitudes or dispositions of the athletes. It just wasn’t a high point for superstars enjoying the primes of their careers at the same time, a fact sharpened by the point that Julius Erving and a number of other gloriously talented players spent the first half of the 1970s in the ABA. Once the ABA folded, the NBA began to pick up steam again, and when Magic and Bird joined the show — fresh from their 1979 NCAA championship game duel — many basketball fans could see the revival already unfolding. The problem? Larry O’Brien and CBS did not. Really — how could the suits at CBS, after seeing the 1980 season unfold the way it did, with Magic going for 42-15-7 (points-rebounds-assists) in Game 6 of the Finals with Kareem Abdul-Jabbar injured, not ramp up their NBA commitments in 1981? How could CBS not at least strip away the tape-delay practices that deprived fans of either: A) live broadcasts; B) live broadcasts at a decent hour; C) coverage of both conference finals in equal measure; or D) all of the above? The bigger head-scratcher is that once the Lakers and Celtics met again in the 1984 Finals, there should have been no lingering doubts about the viability of the NBA as a TV product. Yet, CBS was still tape-delaying conference finals games in 1986; still regionalizing conference finals games in 1986; still not showing conference finals games live in prime time in 1986; and still using the 11:30 p.m. Eastern start time into the 1988 (!) season. Even David Stern, for all the good things he did earlier in his tenure (not so much in the later years of his reign), did not nip this in the bud. CBS did become very good at televising pro basketball — CBS Sports’s production values were second to none in the late 1980s, when it rightly ruled the sports landscape. Yet, the trail of wreckage it left behind during the tape-delay era became so substantial because, as early as 1980 or 1981, even the average Joe could have told you that an NBA revival was coming. CBS’s actions, for several years — well into the 1980s — manifested an alarming lack of attention to the NBA world as it was evolving.